I still remember my first job. It was awful although more awful in hindsight than I remember at the time because I was too young to appreciate just how awful. At 14, I remember selling flowers outside of liquor stores. This wasn't my own operation rather the idea belonged a rather unscrupulous rich woman from a wealthy neighbhorhood where I lived in Calgary at the time who thought it would be a good idea to capitalise on male guilt and or their weaknesses by installing young attractive girls with flowers outside of liquor stores on Friday and Saturday nights. Pretty sure 99% of the buyers were blokes. Don't ask me what my parents were thinking perhaps they applauded my entrepreneurial spirit. I recall some choice words from the customers and those who were simply harassing me from the parking lot. "Nice bum, where ya from,'' was a stand out. There were a myriad of part time jobs in my teenage years including working retail, working as a hostesses seating people and cleaning tables, baby sitting, counting cars, teaching ballet and gymnastics, data entry, typing reports. Some were better than others. The greatest value of these jobs wasn't the money they earned me rather the effect they had on propelling me forward onto university and also through university with decent grades so I could avoid having to do one of these jobs again as an adult for a living. And that's the beauty of bad jobs, bad bosses, bad relationships, bad meals, and negative experiences. They teach us what we don't want. Investing blogger Monevator shares his lessons here. There exists potential danger in a bad job if you don't grasp the lesson it's trying to teach you. What can happen in a job you hate, is that you end up spending excessively to compensate for your misery. The irony of course is that you become a slave to that job because you end up needing it to finance your out of control consumer habits. To break free of a job that makes you grumpy and unhappy, you need to get yourself in a savings position. So if the lousy job doesn't motivate you to get a better one, then you better be sure you save like scrooge so you can work your way to a position of financial freedom. This is one strategy. My view is that it's better by far to find contentment with your job because the reality is you'll be working at it for a very long time. A few years back I predicted salary negotiations would become a matter of growing importance. I made the comment in response to contribution increases announced by National with respect to KiwiSaver. Now that they've arrived this business of total remuneration has been brought to light. Technically speaking, KiwiSaver contributions from your employer are supposed to be on top of your salary. It doesn't come from your salary. It's additional. Total remuneration effectively allows employers to pull from your pay packet their portion of the contributions. The astute employers of course will be pricing KiwiSaver contributions into the amount they pay you anyway. They've just done the math ahead of you before you signed the contract. What this reinforces for me is the importance of getting paid what you are worth and being crystal clear from the start how much of your pay will go into locked up retirement savings, your portion and the employer's. One of the biggest mistakes employees make (first timers and women especially) is just accepting the terms of employment carte blanche instead of negotiating up front a wage or salary you feel you're deserved. Eloise Gibson from the New Zealand Herald reports on the KiwiSaver contributions quarrel that some employees are struggling with. 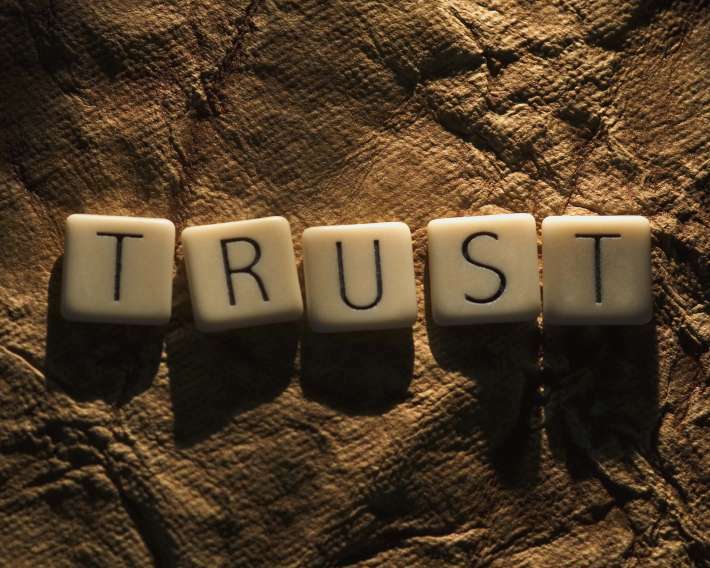 It is often said that trust should be earned not given. I would tend to agree however there are some situations and relationships where trust doesn't have the luxury of time to establish itself. How can you judge the trustworthiness of someone with whom there is a financial transaction at stake? Investment writer and authorised financial advisor Martin Hawes explores this issue in greater depth in his latest Sunday Star Times column where he calls for the elimination of commissions from the financial advisory sector. I have a few millionaires in my life. Some are friends, some are neighbours some are professional acquaintances. There is no one path to creating wealth. Some are shrewd savers, some are investors, some are successful entrepreneurs. Only a few, actually I can't think of one, were simply lucky although they might argue that luck played in their favour along the way. The commonality that I have observed in the millionaires I know best is that they were all very hard workers with a lot of common sense. The following, from fivecentnickel.com affirms that view. If you like what you've read, you'll enjoy the book better. Here's how to order a copy of Amanda's book Money Matters: Get your Life and $ Sorted. The book is also available in ebook format as well via Amazon and is replete with hyper links to help you get your finances in order. You can also follow Amanda on Twitter @amandamorrall; check out her previous Take Fives here; Find out what she's up on on her own blog here.